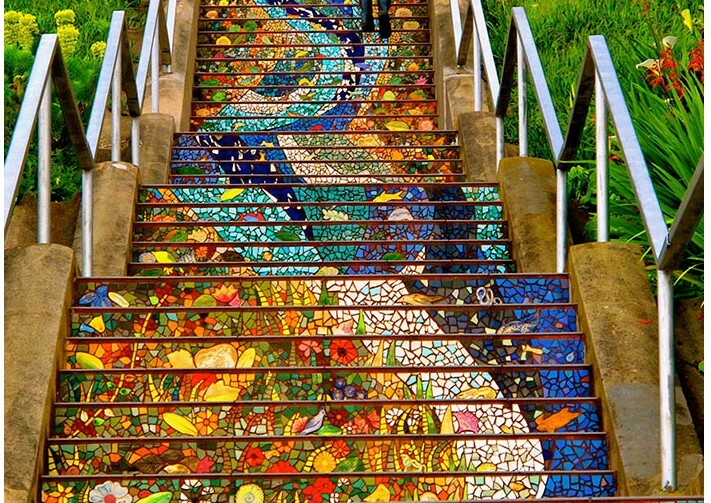 The 16th Avenue Tiled Steps are covered with a beautifully colorful tile mosaic. 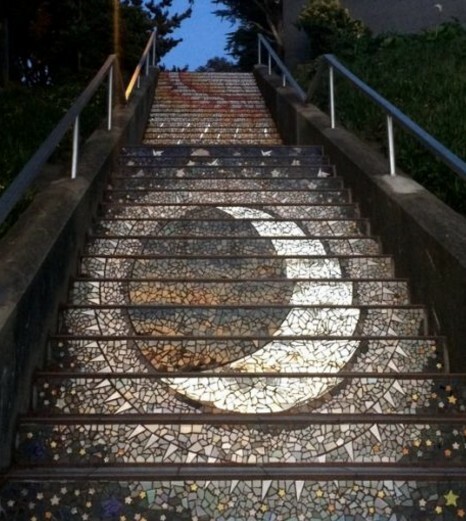 During the day, the tile steps look incredibly beautiful. 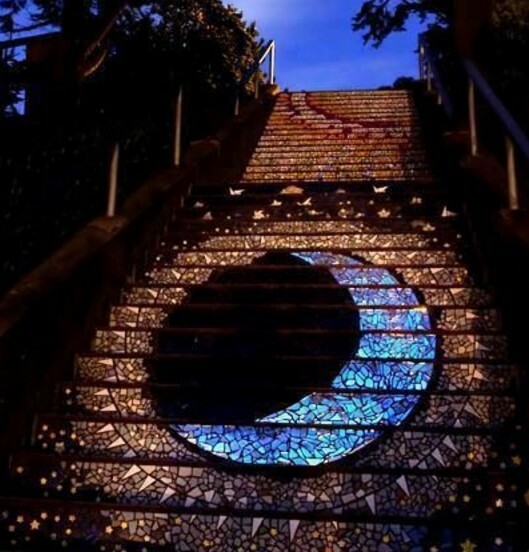 But once the night comes, something magical happens . When the sun’s starts to set, it also catches sun’s reflection.